Yes! 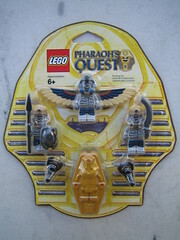 I got my first Pharaoh Quest set last weekend, I must say that I'm really impressed with the new mummies... Thinking I might want a small army of them at some point -- then this showed up on Flickr! Could be expensive (I suspect it'll be the typical $14.99; it could be cheaper, but not holding breath), but never-the-less it's cool.